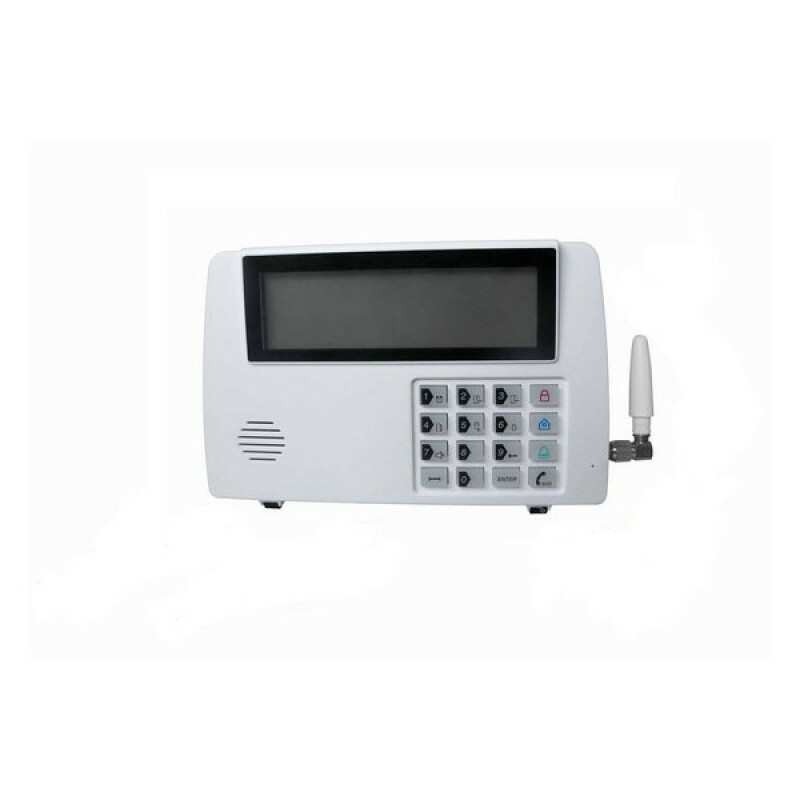 The GSM monitoring station allows you to secure and monitor your home, apartment, office or store 24 hours a day. When an intrusion is detected in the secured area, the GSM monitoring system turns into alert mode and a siren sounds to discourage burglars and scare away intruders. At the same time, the GSM system instantly sends an alert message (SMS) on your cell phone to inform you. You can also listen the environment and hear any suspect sound from your mobile phone: just call the number of the SIM card (not supplied) placed into the GSM monitoring system. This call function allows you to communicate directly with the secured environment (listening and calling). Supplied with a wireless doorbell. No need wifi network, computer or server or other types of material. Very easy to install and use, you can control up to 8 different areas. You can pair and connect up to 16 door , window or smoke sensors (433 MHz). With its build in GSM module, the monitoring security system instantly sends SMS alerts to your cell phone. The GSM alarm system has an "Alert" button particularly useful in dangerous situations: simply press the button to activate the siren. Each remote control has also this button. The SOS button allows you to make emergency phone calls from the GSM alarm system if you feel unwell, in case of aggression or other dangerous event. This is perfect for seniors or isolated people. The GSM monitoring system is equipped with an temperature alarm indicator which alerts you via SMS in case of too low or high temperatures. The GSM surveillance station works with a SIM card (SIM card not included). Insert a SIM card inside the monitoring system and it connects directly to your GSM network operator. Works with any SIM cards. Rechargeable battery ensuring operation in case of external power failure (up to 10 hours autonomous). SMS warning on your cell phone. Audio surveillance (microphone and speaker). 24 hours a day service accessible worldwide from your smartphone.